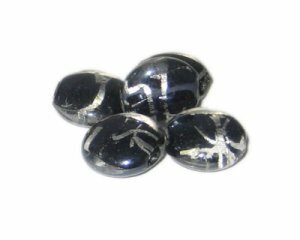 These are 20mm Black Foil Pattern Handmade Lampwork Glass Beads, 5 beads. I'm a Believer! Great Site!